Cycle to school on a Wednesday and earn a prize for doing that seven times. Join us at the After School Club gate on Rockmount Road for Wheelie Wednesday! On Thursdays, Lunchtime Cycle Club welcomes anyone from Year 5 or 6 with a bike. We play cycle games in the park opposite the school. 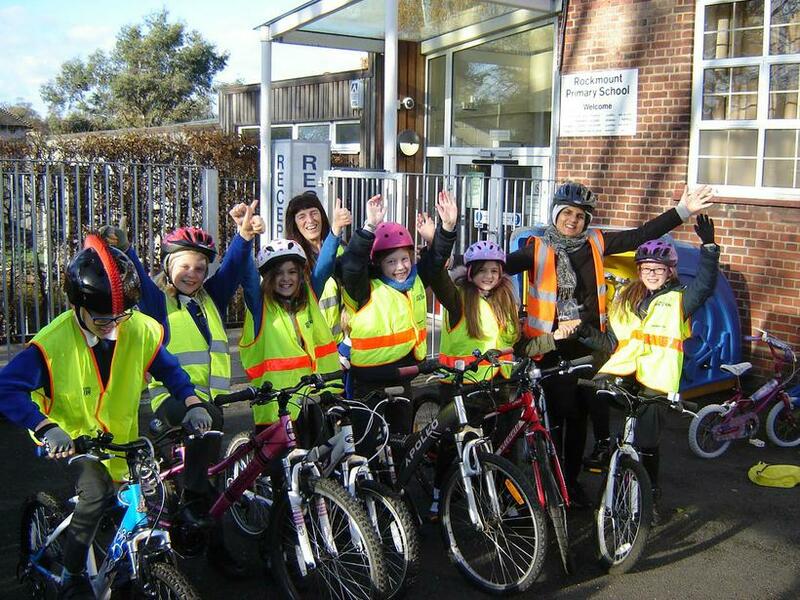 Ms Ahmed and Ms Jessel were nominated and then chosen to receive an award from the charity Sustrans, for all the many cycling initiatives that have run at Rockmount over the last four years. Only six schools in the whole of London were chosen for this special award. What an achievement. Well done to everyone involved. 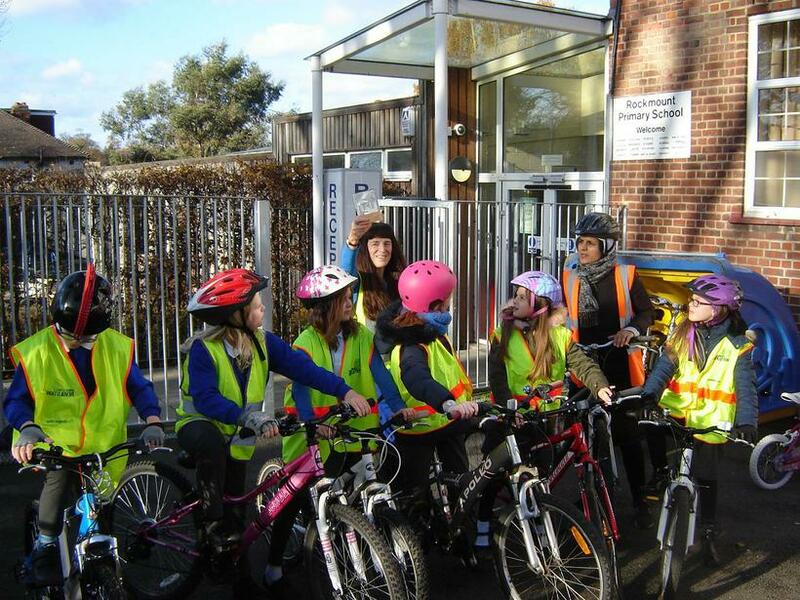 Rockmount runs Bikeabilty courses after school, where cycling instructors teach children from Years 5 and 6 to cycle safely on the road. This is a four session course held on Tuesdays, which a group of eight children have successfully completed this academic year. The next course will take place in May when the evenings are lighter. Rockmount is lucky to have Herne Hill Velodrome close by. They run sessions for children on Fridays, Saturday mornings and during the holidays. The velodrome provides the track bikes and helmets. We now have a new bike shelter within a car free safe zone. To access this area, use the After School Club gate. All bike storage is designed for use during the school day only. It is not secure enough to leave bikes overnight or at the weekend.